New Tax twist you must know! 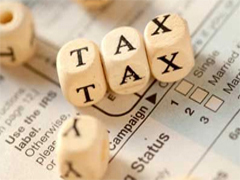 Home » Incometax » New Tax twist you must know! 2012 is about to end, its time for doing celebration and you might have started preparation of New year party or Christmas. It is certainly not the time of year when you would pay attention on Tax saving or planning. But typically, organizations ask their employees to submit their investment declaration between December and early-to-mid January. This is because most of the organizations deduct tax from salaries in January, February and March. Based on deadline set by your employer you have to submit your declaration form. This year you need to keep in mind some new tax twist before handing over your declaration form. We are here with new developments that you need to be aware of this year to save on tax. This year if you have spend on preventive health check-up for self or for your spouse, kids or parents, then the cost of this check-up will qualify for a tax deduction up to Rs 5,000 under section 80D. However, this Rs 5,000 is a part of the overall Rs 15,000 deduction that you are entitled to under section 80D. So if you have spent say Rs 8,000 in medical check-up and Rs 11,000 as health insurance premiums, you can claim only up to Rs 5,000 of medical check-up bill and Rs 10,000 of health insurance premiums under section 80D. You can submit the bills of preventive medical tests undergone at pathology labs or hospitals along with your investment declaration. This year retail investor has new tax-saving instrument “Rajiv Gandhi Equity Saving Scheme”. This scheme is only for first time retail investor with annual income below Rs 10 lakh. Maximum saving permissible under this scheme will be Rs.50,000 and investor will get 50% deduction on amount invested from taxable income for that year. Initially scheme was only for equity investment but now government has opened door for Mutual Funds and ETF under this scheme. The scheme will be only open to new retail investors, new investor will be traced on basis of PAN number. First-time investors who have opened their demat accounts but have not made any trasaction will be eligible for this scheme. Similar to ELSS this scheme will have a three year lock in period but investor will be able to trade in securities after 1 year. However investor has to maintain their level of investment during next two years at the amount for which they have claimed income tax benefit. So, You have the option of designating your existing account as a Rajiv Gandhi Equity Savings Scheme-eligible account, provided you have never transacted in this account. You can invest in eligible stocks, exchange-traded funds and mutual fund schemes. Till now, several employers did not deduct TDS (tax deducted at source) on your leave travel allowance as long as you submitted the required declaration. Now, however, claiming the benefit could get a bit more taxing. Earlier, your employers may have extended the LTA exemption on the basis of declaration provided by you. This year onwards, your employer may ask you to submit documentary evidence (air or rail tickets) before allowing the exemption. This is a major point salaried individuals will have to take into account this year. So you have to compulsory use LTA amount for vacation/travel in order to save TDS. If you are failed to produced relevant proof train/airline ticket employer may deduct tax. Section 80C allows deductions on housing loan principal repayment and Section 24 on interest paid on the loan. This year, your employer may ask you to produce the possession certificate before allowing these deductions. If you pay annual rent amount more than Rs 2 lakh, you will have to furnish your landlord’s Permanent Account Number (PAN) details in the investment declaration form while claiming house rent allowance (HRA). In case the landlord does not have a PAN card, you will have to submit a declaration from him mentioning his full name and address.